04:46 <LA> doorslammer|brset do I remember right you drew some things too? 04:50 <ln> peter1138: do you speak other languages besides English? 04:53 <ln> so were blyton's famous five. 05:01 <ln> peter1138: aren't the british supposed to learn french in school? 05:05 <Doorslammer|BRSet> You are not good at speaking French? 05:38 <ln> why did the monty python choose albrecht dürer? 05:40 <Eddi|zuHause3> what's wrong with albrecht dürer? 05:41 <ln> i'm not saying anything is wrong with him, but since monty python was the first time i heard about the guy, i was wondering if he's more famous in germany than internationally. 05:43 <ln> besides, this is completely relevant to the previous foreign language discussion. 05:50 <ln> they speak quite good german. 05:51 <LA> How was Donald Witcombe tied with TTD? 06:03 <ln> and even that one sound doesn't match the one letter. 06:06 <ln> LA: for example, 'd' becomes 't', right. 06:07 <ln> LA: well, almost. 06:24 <Eddi|zuHause3> what's that supposed to mean? 06:28 <ln> anyway, why the hell was Super Mario Lost Levels only available for 2 weeks on Virtual Console in EU? 06:54 <dih> ln: english please! 07:01 <Eddi|zuHause3> ingles por favor! 07:01 <ln> dih: Hāmburgor is sandwīċ fram grundena cūmeta macod, oft mid cȳse, tomaton, lactuc, and cæċċup eten. 08:47 <Eddi|zuHause3> firewall? lost packets? server offline? 08:48 <rortom> so i thought non-working servers would be sorted out? 08:48 <@Belugas> ho my god... me? playing???? 08:58 <rortom> @Belugas, did RoR work well on your system? 08:58 <rortom> mh what was map_set again? 09:17 <rortom> @ Belugas, what OS? 09:18 <ln> what's "@ Belugas"? 09:20 <ln> the topic doesn't say anything about not flooding, carry on. 09:20 <dih> rortom: how did you build those stats? 09:25 <Phantasm> Belugas: What is his idea? 09:27 <Mirrakor> are those online stats or local? 09:28 <Mirrakor> Anyone knows a few good and free email programs for Windows which I could recommend to a beginner? 09:28 <rortom> dih: average map size as a list also? 09:30 <dih> servers with errors: 5 <-- ? 09:32 <CIA-3> OpenTTD: rubidium * r13684 /branches/noai/ (115 files in 10 dirs): [NoAI] -Sync: with trunk r13599:13683. 09:38 <dih> Rubidium: you can get rejects! 09:48 <@Rubidium> rortom: where's the korean server in your list? 10:11 <rortom> whats its name? 10:12 <rortom> i will have a look where it could be ..
10:17 <dih> why on earth to people run 20 servers if not even one of thime is filling up? 10:17 <+glx> because they can? 10:23 <Lakie> I found sometimes atleast with TTDpatch developing that I'd find a much easier way to do something (and thus finish it way before I thought I would). 10:34 <Lakie> Well, Belugas, these were taskes I thought would be so very hard, or was told would be difficault. 10:34 <Lakie> And once in a while, I'd find something to make the job easier and more effient. 10:46 <dih> rortom: can i ask you to make some averages over a cause of a few weeks to a month or so? 10:59 <hylje> e.g. "omg! i can has %s" % "sprintf"
11:00 <dih> i can has? 11:02 <rortom> " % 20s: %3d (% 5.1f%%), %d clients"
11:03 <rortom> --> " % 20s: %3d (% 5.1f%%), %3d clients"
11:05 <dih> rortom: do you actually do any ottd patching? 11:21 <Ammler> distributed from ottd. 11:23 <Ammler> stations can be used all the time. 11:26 <rortom> do they have something to identify? 11:27 <SpComb> rortom: they all have the same IP, and the name is of the form "username.myottd.net/tag - title"
11:30 <MorgyN> 24838AD? won't everywhere be towns? 11:33 <Ammler> rortom: GRFCrawler has a webservice support to get the infos, iirc. 11:38 <Ammler> webpage is on the SVN Repo, too. 11:38 <rortom> anyone want to have the script to test? 11:50 <Ammler> only the generic trams, 1. on your list. 11:54 <Ammler> and those are non cooper, our server is empty atm. 12:15 <Ammler> rortom: isn't at least the filename of the GRF already in the udp packet? 12:28 <SpComb> rortom: what webserver is that? 13:28 <Digitalfox> And it seems it was a software problem..
13:29 <@peter1138> it's "10th of April"
13:30 <Digitalfox> $1.28 million for fixing the glass..
13:31 <@DorpsGek> dih: [NoAI] -Sync: with trunk r13599:13683. 13:33 <Digitalfox> More photos http://www.spaceref.com/news/viewsr.html?pid=20396 .. 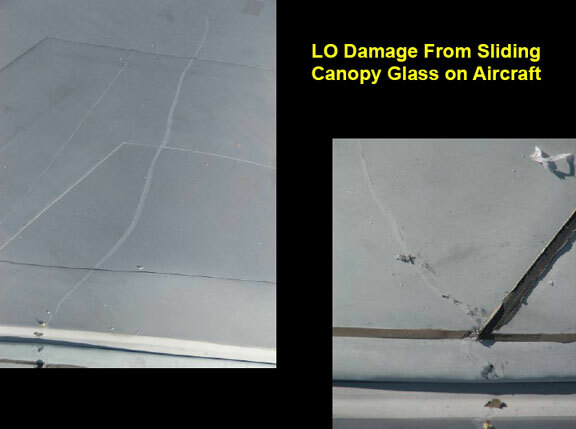 They totally ruined the F22.. $1.28 million to fix? yeah right..
13:37 <Digitalfox> peter1138 if you watch the pictures, do you believe 1 million will fix that F22? When each F22 total cost is 137.5 million$ ..
13:40 <Digitalfox> Well now I should return sleep, to my dream that someday Portugal air forces will have at least 1 F-22 even if a US retired on..
13:55 <ln> it has to be better as it has EURO in its name. 13:55 <Digitalfox> Eddi|zuHause3 isn't eurofighter in development for a decade or so.. When is it going to be finally introduced..
13:56 <Eddi|zuHause3> how should i know? 13:56 <Digitalfox> never mind it seems 103 are already in use..
14:42 <eekee> hmm, jackrabbit clutch eh? 14:47 <Eddi|zuHause3> hm... YaST does not react good if you accidently click "uninstall all" instead of "update if newer available"
14:51 <KingJ> Is it me, or do boats tend to group together? 14:52 <frosch123> All vehicles tend to group together because of station rating. 14:54 <Eddi|zuHause3> check the setting "improved loading algorithm"
15:04 <@Belugas> eekee, everything is possible. Just needs to be done. Volunteer? 15:17 <Eddi|zuHause3> hm... what can i do to a program when kill -9 does not have an effect? 15:18 <@Rubidium> kill -9 -1 maybe? 15:22 <Prof_Frink> Eddi|zuHause3: Oh, that's easy then. Install *buntu. 15:33 <@Belugas> kyevan, looks more to me like a "nothing to build since no (significant) change been done"
16:38 <Prof_Frink> Eddi|zuHause: The phrase is "Oh fsck"
16:40 <Eddi|zuHause> while on that matter... is SATA hot-pluggable? 16:41 <ln> hmm, anyway, disable fsck. 16:42 <ln> Eddi|zuHause: i've seen case(s) where e2fsck takes lim t->infinity, but the disk is fine, and disabling fsck is a workaround. 16:42 <ln> Eddi|zuHause: the hot-pluggability of SATA also depends on whether your SATA controller supports hot-plugging. many of them don't. 16:43 <Eddi|zuHause> so... if i plug in the SATA data+power cable into the drive, does my computer blow up? 16:54 <ln> a whole week! 16:58 <ln> SmatZ: i mean, "run" and not "ran"
17:00 <Eddi|zuHause> ln: i mean, there is not supposed to be any "10% done" message? 17:00 <ln> Eddi|zuHause: nope, unless you gave some (most likely undocumented) parameter to get a progress bar. 17:00 <valhallasw> probably spams you screen all under, but hey, who cares. 17:01 <ln> yeah, and see what happened to nina reiser then. 17:02 <ccfreak2k> However, on supported motherboard, PCI is hotswappable. 17:03 <ln> i once removed an IDE drive during DOS scandisk, and scandisk happily continued way beyond 100%. 17:04 <ccfreak2k> valhallasw, I'd call it hot swapping because the machine is still "hot". 17:05 <ln> haha, funny star trek discussion in dexter 4x07. 17:06 <ln> errr... dexter 2x07. 17:07 <@peter1138> which one's dexter? 17:07 <@peter1138> is it like dexter's laboratory? 17:07 <ln> i've been busy during the past months, but now i've got some time, and i found a web site. 17:09 <valhallasw> Eddi|zuHause: does dexter create file systems? 17:10 <KingJ> Can you reset what a station accepts? 17:10 <valhallasw> there is a correlation between file system programmers and killers. didn't you know? 17:10 <ln> i don't understand why anyone uses torrent when it's possible to download episodes in HD through HTTP. 17:12 <ln> peter1138: and yeah, i can recommend Dexter, too. 17:22 <ln> Eddi|zuHause: Prison Break s3 done [x], half of House M.D. s4, ~half of Dexter s2. 17:24 <Eddi|zuHause> and it's still saying "Pass 1"
17:25 <Eddi|zuHause> how long is 1TB on 30MB/s? 17:27 <ln> prison break is... is... not really bad, but they could have made it more compact and shorter without losing much. 17:30 <valhallasw> ln: is s3 worth the time? 17:31 <ln> valhallasw: well, ... ... no. 17:33 <ln> will i regret if i download Heroes S2? 17:39 <ln> anyway, did you know this actor of "Hiro" works part-time for Industrial Light and Magic? 17:42 <kyevan> AGH. Curse you, curse you all! 17:42 <kyevan> I didn't need another addiction! 17:42 <@peter1138> oh, S2 sucked? 17:43 <ln> i also watched 1x01 of The Sarah Connor Chronicles the other day. 17:45 <ln> Eddi|zuHause: the damn download site has broken urls for 1x02 and 1x03, cannot proceed. 17:55 <ln> what about Jericho? 17:56 <ln> but i mean, is the S2 any better than S1? 18:00 <ln> great... so.. i won't waste my time on jericho anymore. 18:04 <@peter1138> no, it's 11pm! 19:22 <semafor> Is there are roadmap for v 1.0? 19:23 <semafor> Or, does v1.0 exclude game files from the orignial ttd? 19:30 <semafor> Did I miss out? 19:31 <Ammler> in dutchieland, I guess. 19:32 <rortom> some guy deleted our wiki yesterday to replace it with that text: "hello. my name is james. i think that everyone here is a nerd and thats why i have deleted this part of the wiki, just to help you become more normal. anyway, bye." 20:49 <rortom> that knows the protocol? 20:54 <ccfreak2k> I can pretend to know. 20:56 <rortom> is sent all 74 frames i think?